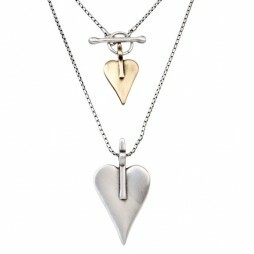 The refined and sophisticated mid length Danon Silver And Bronze Signature Heart Necklace is full of charm. 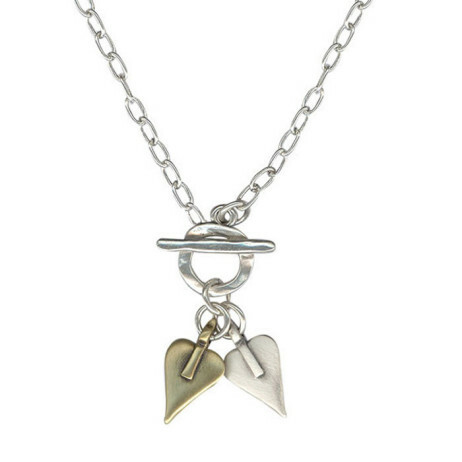 Danon Jewellery have cleverly teamed the silver and bronze signature hearts together to create a winning on trend design with the front fastening t-bar for easy wearing. 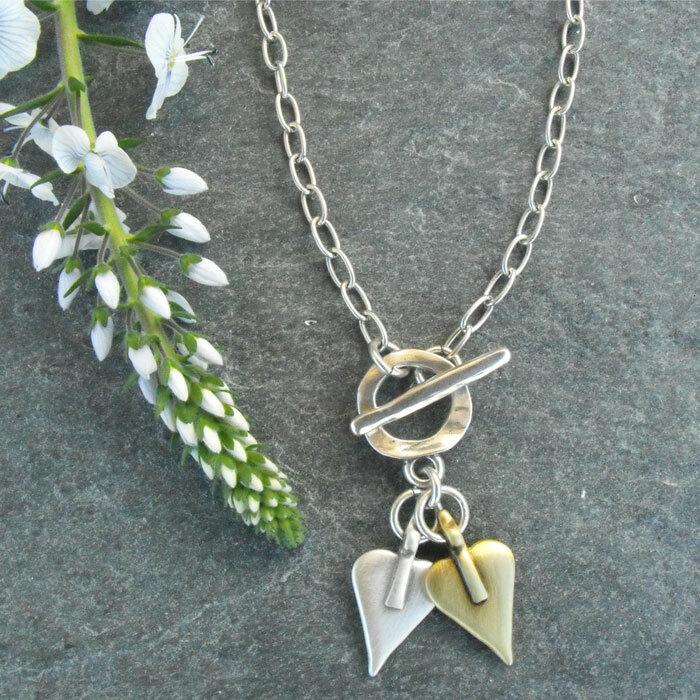 We love the two colours mixed together for a truly unique and individual style. 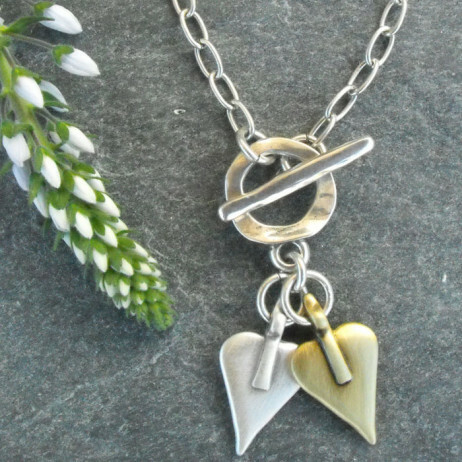 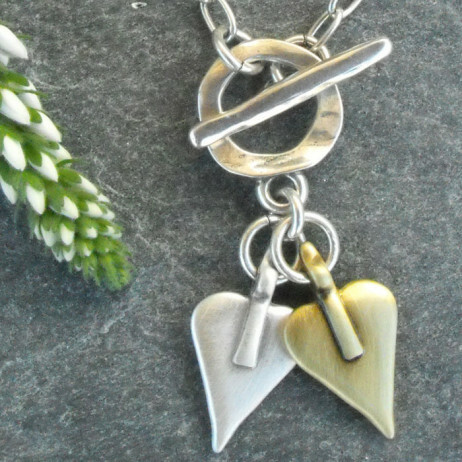 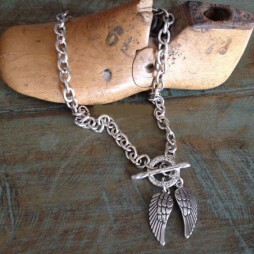 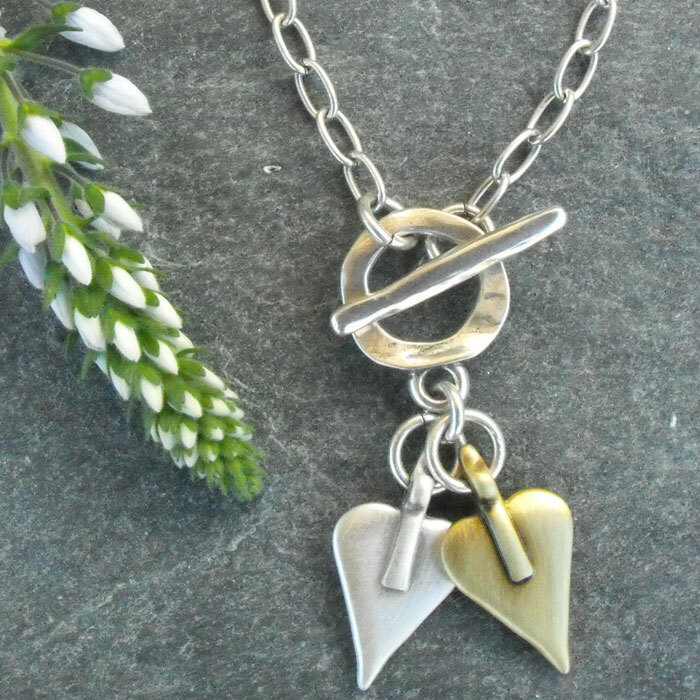 This necklace design is even more versatile now as you can wear it with any of your jewellery, silver or gold. 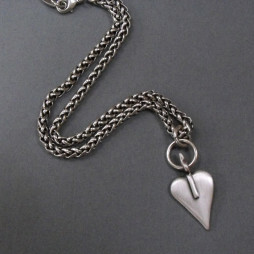 The length is 45cm and each signature heart measures 2cm long by 1.5cm wide. 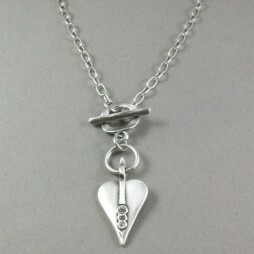 Your necklace will be presented in a Free Danon pillow style gift packaging ready to be loved. 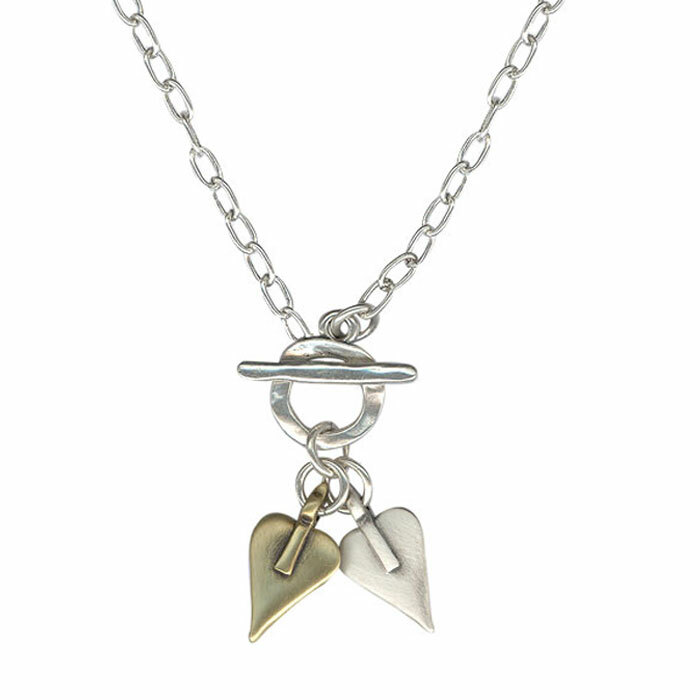 This beautiful Danon Silver And Bronze Heart Necklace is part of the Danon Signature Heart Collection to include the co-ordinating Danon Silver and Bronze Chunky Heart Bracelet the Danon Silver Mini Heart Drop Earrings and the Danon Double Signature Heart Bangle Silver and Bronze. 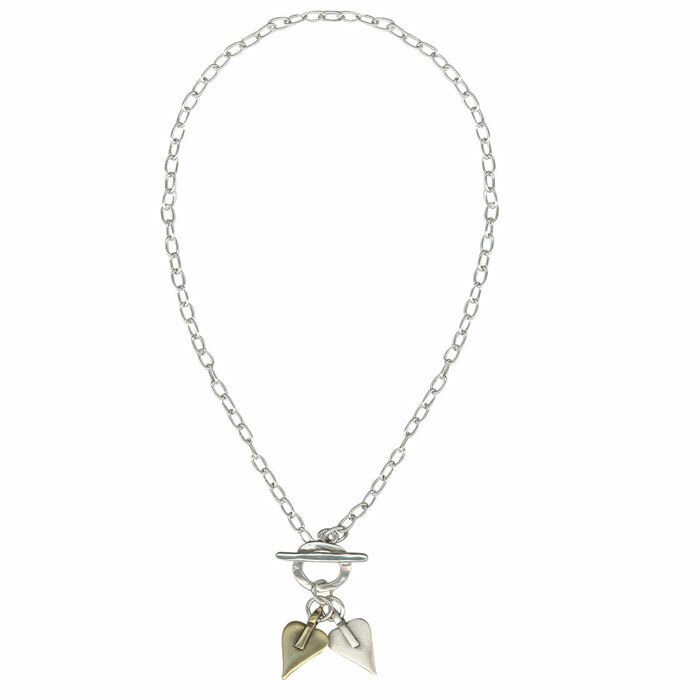 Josef Danon originally established Danon Jewellery in 1975 in Israel’s Tel Aviv. From a smallish family run work shop they have actually gained popularity and their jewellery designs has grown to be sought after throughout the globe. 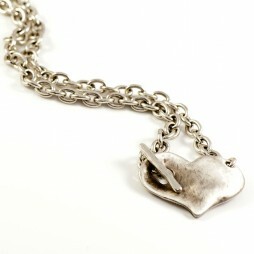 They are experts in only one element: creating jewellery as well as gifts that people today desire. 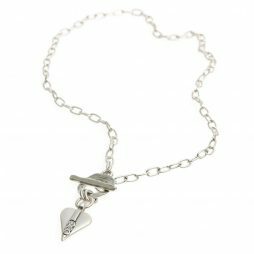 Still manufactured in Tel Aviv, Israel by the Danon company, their attention to details and design is exactly what makes their jewellery so different and searched for. 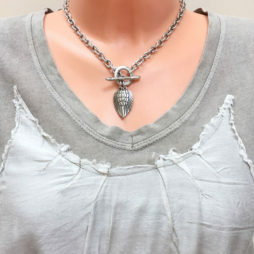 In addition to being elegant, appealing and appealing, Danon’s designs are extremely wearable as well as really reasonably priced – Confirmation that first rate quality does not have to cost the earth. 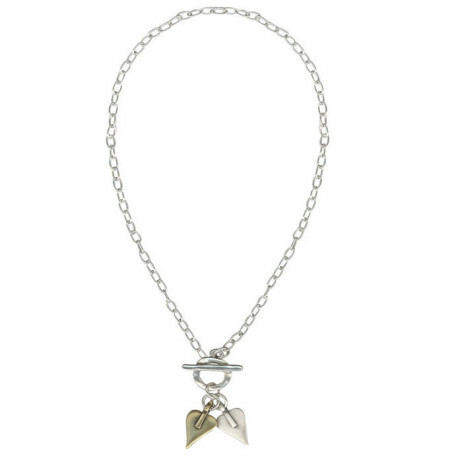 Jewellery from Danon is synonymous together with sought after design in addition to quality that is just splendid. 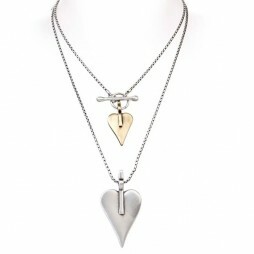 They have over time made collections that as well as utilizing the very newest and most up to date production processes, have all been finished by hand to offer each item a individuality that people have all come to associate with Danon and their Jewellery. 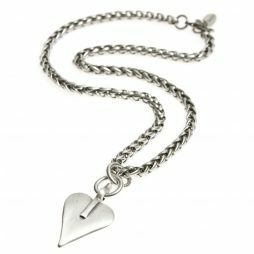 Valentine's Day Gifts, Danon Jewellery, Danon Necklaces, Danon Signature Heart Collection, Gifts £40 - £50, Chunky Jewellery, Necklaces, The BIG SALE.